From 1st October 1979 to 31 December, 1983, Sam Onunaka Mbakwe was Governor of Imo State (what is today, Imo, Abia and Ebonyi States). History validates him as one of the greatest leaders to emerge from the Eastern part of Nigeria. The name Mbakwe is synonymous with charisma, performance and activism, so much that the press nicknamed him, “the weeping Governor” for consistently arguing against the neglect of his state by the Federal Government. He was always advocating for his people. Mbakwe without a doubt made fine imprints in his time building several roads, industries, a state owned university, etc. The Imo Modern Poultry Complex, Avutu, the Alumunium Smelter Company, Inyishi, the Amaraku Power Station, Imo state University and Progress Bank are some of his legacy projects. One of Mbakwe’s most daring moves in office as Governor was to build an airport from communal efforts. It was a bold attempt that drew a fair share of praise and lashes. Mbakwe solicited funds from everyone and everywhere and at all occasions he never failed to add the phrase, “Nothing is too small for Imo Airport”. Mbakwe encouraged everyone to contribute his or her quota to the airport project, after all, “nothing is too small for Imo Airport”. The phrase was very popular in the 1980s, everyone used it frequently to solicit money from friends, “Guy, find me transport, anything you have at all, nothing is too small for Imo Airport”. 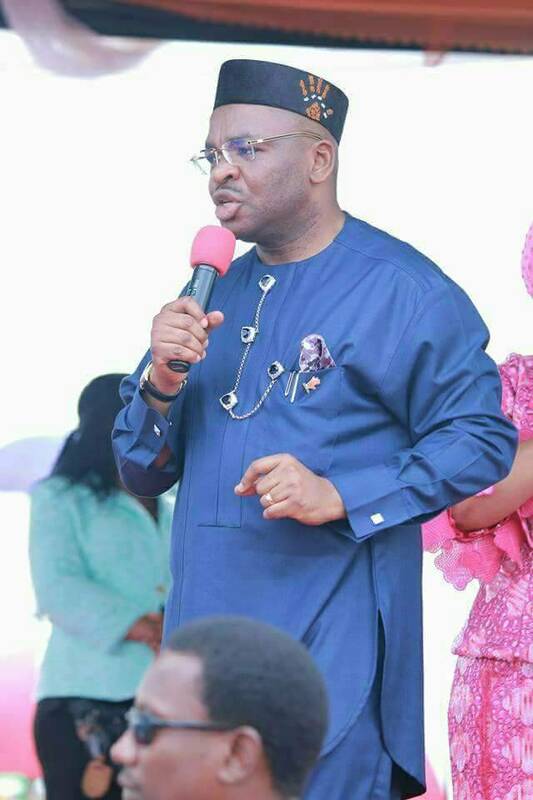 Like Mbakwe’s Imo State, Akwa Ibom State is currently building on many fronts. From agriculture to infrastructure, sports, health, industrialization, rural development and education. Every sector is receiving a fair share of projects and attention to make life meaningful for the teeming populace and I tell you, nothing is too small for Akwa Ibom’s development. Under the leadership of Governor Udom Emmanuel, there is a renewed spirit of communality, political inclusion, unity, cohesion and oneness. The Governor invites every son and daughter of the state to rise to the faith of their inherent potentials. Nothing is too small for every citizen to contribute to make Akwa Ibom an enviable state. We must together be self-appointed promoters of the Akwa Ibom brand. The rest of the world should read of positive tidings from the state. We can tell the rest of the world that Akwa Ibom State is beautiful, peaceful and green. We can tell the world that we have abundant natural and human resources, a 7,081 SQ of arable land, waters and one of the most intelligent set of people in the country. Nothing is too small if we tell the world of our moderate climate, our beautiful ecological landscape endowed with a wide variety of agricultural, petroleum, mineral, marine and wildlife opportunities. Nothing is too small if we tell the world that Statistics shows that Akwa Ibom is second on the table of the few states in Nigeria that attract foreign investors. The industrialization agenda is blooming with the Jubilee Syringe Manufacturing Factory, the largest on the continent and the Metering Solutions Factory both commissioned and running. Jubilee Syringe Factory was Commissioned by Vice President Yemi Osinbajo on September 23,2017 produces One million syringes daily. The syringe Factory currently employs 70 Akwa Ibom people, who were trained in Turkey with just five experts working there. Currently, more Akwa Ibom youths are abroad undergoing training and will return to boost the manpower needs of the company, as the factory looks to expand in future. Amazed by this development, Vice President Osinbajo, who is of the APC said Governor Udom Emmanuel is a clever Governor. Nothing is too small if we tell the world that Akwa Ibom state is a new destination for sports in Nigeria. We can tell the world that Governor Udom Emmanuel is working and achieving so much success in developing our sports sector in less than three years. Akwa United football Club, for the first time in over twenty years of her existence was inspired to fourth position on the National League table under the Udom Emmanuel led administration. Akwa United played her maiden international tournament, the CAF Confederations Cup following the Dakkada philosophy the new management of the club put together by Governor Udom Emmanuel imbibed. Akwa United won her first ever major trophy in 2016 after Governor Udom Emmanuel repositioned the club carting away the FA Cup. Akwa United made history by winning the maiden Aiteo Cup in 2017 is currently playing Continental football this year 2018 at the well maintained Godswill Akpabio international stadium. The yearly Akwa Ibom Youths Sports Festival where all primary and Secondary schools students participate is a window for talents to be discovered and nourished for exploits. Eket Stadium is currently under construction in fulfillment of Governor Emmanuel's campaign pledge. The artificial Turf and all modern fittings needed to build the Eket Stadium and revamp the Uyo Township Stadium have been delivered and received by the State government. Governor Emmanuel has built a sports complex at West Itam Secondary school opposite the NNPC Mega station along Uyo Ikot Ekpene Road. 9 more to go. The female team of Akwa Ibom State, Ibom Angels made it to the FA Cup final and finished second, which is tremendous improvement on her past records. Nothing is too small if we tell our friends that Akwa Ibom State can boast of one of the best road networks in the country. Governor Udom Emmaniel is currently undertaking the construction of over 50 roads in the Uyo metropolis and environs. 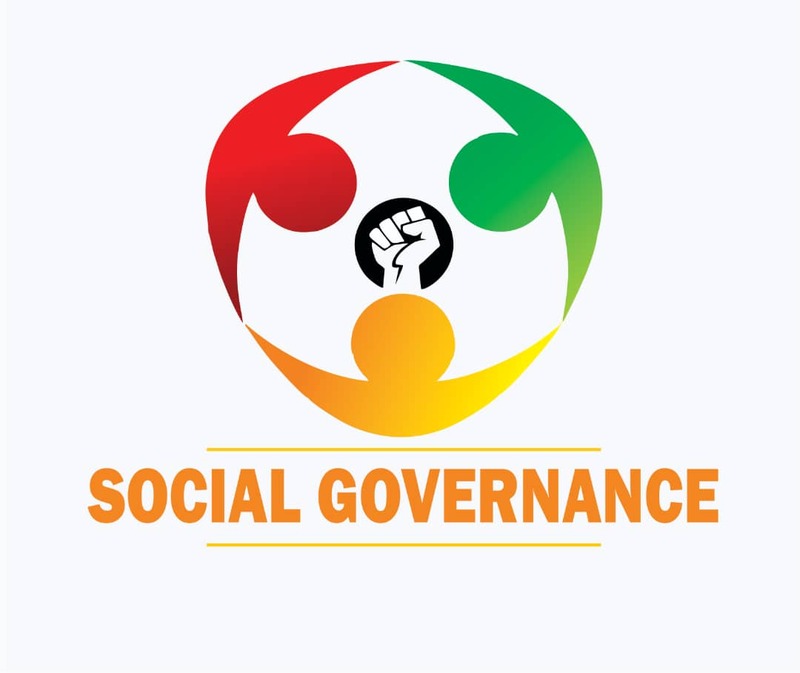 Akpaube Close, Akpa Ube Lane off IBB Avenue, Ekperi Close by Akpaube, Idak Ukpa Street, off Aka Etinan Road, Afaha Atai village crescent road, in lbesikpo Asutan Local Government Area, Vision close in Nsukara Offot, Udotong Ubo Lane, Akparen Street, Nung Atai Street leading to Christian Secondary Commercial School, Ibiono Lane, Unit D line in Ewet Housing Estate, Ediye Samuel Street, off Edet Akpan Avenue, 12.Akpan Ndem Street by Ewet Housing Estate, Unit G Line in Ewet Housing Estate, Eden Udo Close, roads around Atan Offot from Aka Etinan to the back of the State Secretariat and another spur to Goodluck Jonathan Boulevard, Ring roads 2 now wear a new look. Information Drive was completed and commissioned, Cornelia Corneli College Uyo were constructed and commissioned, the Nsikak Eduok Avenue by Oron road, Edet Akpan Avenue intersection flooding has been conquered as Governor Udom Emmanuel completed an underground tunnel from Edet Akpan Avenue through Udo Udoma Avenue linking it to the Tropicana drainage, down into Obot idim Ibesikpo stream as the outfall. The construction of the 3.5km Ring Road 2 project is also ongoing extending from the dead end of Udo Udoma Avenue across Aka community through Afaha Offot to link up Abak Road. You all know that road and nothing is too small if we tell others about it. Nothing is too small if can at least acknowledge the several road projects Governor Udom Emmanuel is constructing to open up the state. The 4.6km School of Arts and Science Road Nung Ukim Ikono has been completed with side drains and is ready for commissioning. The Gully Erosion that threatened to completely destroy the major access road linking Ikono and Ini has been arrested by the Udom Emmanuel administration. The 19.3km Anua Mbak Ishiet road in Uruan traversing 7 villages including, Anua, Ifa Ikot Okpon, Mbak, Ikot Otoinye, Ekim Enen, Adadia, and Ishiet is progressing and the 4.0km Mbiatok - Ekritam - Mbiaya Uruan road, criss crossing Ita Uruan, Ikpa and Mbiakong villages is steadily advancing. The 8.5km Nduetong - Oku Ibiaku Uruan - Ekritam road with spur to Ini Uruan, that passes through the Uyo City Polytechnic to Planet FM 101. 1 premises is in the works, valuation of property that will be affected by the road is ongoing and sorting this out to enable compensation payment to owners will eventually get the project on course. Development is not a tea party. No Governor in the current class can stand shoulder-to - shoulder with Governor Udom Emmanuel for roads constructed amidst the terrible economic recession Nigeria is enmeshed in. Governor Emmanuel's administration is currently building five dualized roads to completely link up the entire State. Nothing is too small if we tell the world that the dual carriage 20km Ekom Iman - Etinan road traversing Ikot Oku Ikono - Asuna, Ishiet Erong, Afaha Iman, Etinan Urban to the roundabout by Etinan Institute. Then the next stretch of 29.0km Etinan - Ndon Eyo road, also dualized, extending through Ekpene Ukpa, Efa, Mbioto, Ikot Oku Ekanem, Awa, Mkpok to Ndon Eyo. Let’s talk about the dualization of the 14.5km Uyo - Oron Road (Airport Road - Okopedi Oron - Oron Road by East West Road) cutting across Ekpene Ukim, Ikot Asua, Ikot Etieidung, Nung Atai Eta, and Okopedi Okobo in Nsit Atai and Okobo Local Government Areas. There is also the 13.5km Okopedi Okobo - Oron Road proceeding from Nung Atai Eta, Itak, Uyatie, Edeghi Awa Ikpi, Otti Oro and Uya Oro villages in Okobo and Oron Local Government Areas. Nothing is too small for us to contribute to make our state, let’s speak glowingly of our education sector. Emmanuel has continued to give premium coverage for Education, even in the face of the harsh economy, facilitating the advent of three new Secondary Schools in the State. The Nigerian Navy Military School (NNMS), Ikot Ntuen, Oruk Anam Local Government Area is ready. There is the newly established Army Command Science Secondary School in Efa, Etinan Local Government Area, which was refurbished and equipped to replace the Salvation Army Secondary School and the Model Girls Secondary School, Ikot Ekang, Abak Local Government Area which Governor Emmanuel commissioned and which has since commenced operations. Let’s tell the world that at the Obio Akpa campus of the Akwa Ibom State University, in Oruk Anam, six major projects were commissioned by the governor like the Digital Language Library, a commercial farm palm oil mill, a commercial farm feeds mill, vegetable screen house, Ultra-Modern Mass Communication Studios and a magnificent Arts Theatre. The entire stretch of internal and access roads in the Obio Akpa campus are under construction complete with side drains. The College of Education, Afaha Nsit, Nsit Ibom Local Government is recording a massive face lift, as access and internal roads are in advanced stages of construction. Governor Emmanuel is committed to creating a conducive atmosphere for learning by boosting infrastructure in the tertiary institutions. The ultra-modern Administrative Block in Akwa Ibom State University, Ikot Akpaden was commissioned by Governor Udom Emmanuel and the construction of internal and access Roads have commenced in the Permanent site of AKSU in Mkpat Enin. Nothing is too small if we say that the University of Uyo just got her first Arts Gallery building courtesy of the first family to honour the memory of Late Prince Bernard Sampson Idiong and Professor Stella Idiong, parents of Her Excellency, Mrs Martha Udom Emmanuel. The Udom Emmanuel administration has sustained the free and compulsory education from Pre Primary to Senior Secondary 3, and undertakes payment of Senior Secondary Certificate Examination, SSCE, fees and running into hundreds of millions for all indigent students. We should tell the world that in pursuit of animal protein sufficiency Akwa Prime Hatchery with a capacity to deliver 540,000 day old chick per month was constructed and is still producing. Salaries of government workers are paid within a month and government is touching every sector in many remarkable ways. The invitation to make Akwa Ibom great is a clarion call, everyone has a role. Nothing is indeed too small for us to contribute. We can keep our surroundings clean, avoid blocking water ways with refuse, pay our taxes and support government. There is nothing small in doing these. If we do not tell the world how awesome Akwa Ibom is, nobody will. When we build Akwa Ibom State, we do it for ourselves, our children, for Udom Emmanuel, our family and friends. Political parties may divide us and skew us to only see things in the negative. But we must be reminded that Government comes and goes. All we have left is Akwa Ibom State.